Farcical probably just about sums it all up. Days before the Maltese football season is due to start and still the future of Marsaxlokk FC and Vittoriosa Stars, the two clubs at the centre of corruption charges, is unknown after hearings were repeatedly postponed. For years, rumours of corruption have undermined the credibility of local football but when these were brought up the official reply always was that unless someone stepped forward with proof nothing could be done. Which is why the past year has been so significant. It all started last August when Albanian coach Ilir Pelinku and former referee Joe Attard where indicted of trying to fix the Champions League qualifier between Marsaxlokk and Slaven Belupo. 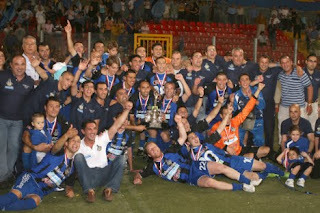 The local side were cleared of any wrong doing but soon they were in the news once again when, after a crucial game against Msida St. Joseph that saw them gaining access to the Championship Pool and condemned Msida to the relegation pool, Msida goalkeeper revealed that he had been approached to throw the game. Marsaxlokk assistant-coach Peter Hartshorne and former player Claude Mattocks admitted to the charges in court and both got off with a suspended sentence and a €500 fine. At around the same time it, Vittoriosa Stars’ vice-president Emanuel Ancilleri was also taken to court after allegations that he had tried to bribe players before a game with St. Georges. And, to further complicate matters, Vittoriosa then went on to win promotion to the Premier League. With relegation being one of the possible punishments – and what most are anticipating – it was thought that both cases would be dealt with swiftly. After all, here was the perfect opportunity for the local football association to prove that it was willing to act swiftly and decidedly against corruption. Yet that hasn’t happened. Instead, the impression is that the two cases are being viewed as an inconvenience with hearings being regularly postponed and the specially appointed investigations board dragging its feet in delivering a judgement. So much that on the eve of the season no one knows what is going to happen. Will Marsaxlokk and Vittoriosa be allowed to play in the Premeir League? 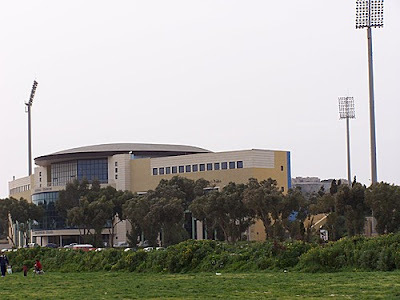 And, if not, when will Msida and Pieta Hotspurs, the two clubs who would replace them, get to know? After all, neither club has been preparing for a season in the top flight. that they missed out on so dramatically last season. ardi to aim for the top prize after a couple of lean years. If the summer has been a positive one for Valletta and Sliema, it hasn't been that rosy for champions Hibernians. Last season's success was the just reward for their policy that focuses on the development of young players with the arrival of coach Mark Miller proving to be the catalyst that they needed. Birkirkara from a yo-yo club into one of the island's top sides, resigned whilst manager John Buttigieg left to take over the national team. hey can hope for given the number of young players he will have to count on. Floriana will know all about Birkirkara's situation for they too have been stuck in a footballing limbo: too good to go down but without the necessary quality and strength in depth to challenge the top clubs. attempted to bring some players from the Irish leagues but so far none have actually signed. Unless that changes, it will be more of the same from them. Having managed to survive in their debut season in the top flight, Qormi are now looking to consolidate their place there. As they did last summer, most of the players they've signed are experienced veterans who know all about football in the Premier League. This might not be the most adventurous of policies and certainly not the cheapest but it should lead to a relatively tranquil season that will act as a stepping stone for further progress. e most likely to replace is Marsaxlokk FC. Champions just four years ago, their decline has been a steady one since president Victor Scriha opted to take-over Valletta FC. What's worse is the already mentioned pending case of corruption brought against them which, if proven, would probably see them getting relegated. This has hampered their transfer activity, and whilst they have lost a number of players they haven't been in a position to bring too many players. top local clubs were lining up to buy him but instead he has opted to move to Poland. To replace him - and attempt to confound expectations once again - they've gone for two other Brazilians (Antonio Everton Pereira and Anderson Mendez Ribeiro) who already look a cut above what is available locally. 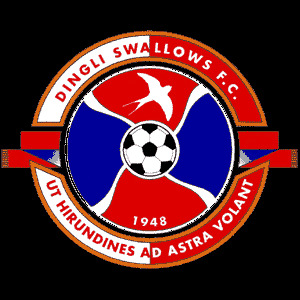 Taking inspiration from Tarxien are First Division champions Dingli Swallows who are putting faith on the players who got them here rather then spend money they don't have in order to chase marginally better results. In reality, Dingli's story is pretty inspiring in itself. 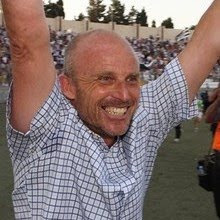 On the verge of relegation to the Third Division when John Zammit took over as player-manager five years ago, he has transformed the club and took them to two promotions. For a village of just 2,500 people, it is a phenomenal result just to reach this level no matter what happens in the coming months. And finally there's Vittoriosa Stars. Or, at least, there will be Vittoriosa Stars unless they are thrown out because of their own corruption case. As with Marsaxlokk, this has limited their preparations and the number of players they could bring in. The end result is a squad that seems woefully short of the quality needed to stay up. This article was published on the football website 200%.